WHAT'S THE THING I WORRIED ABOUT ? 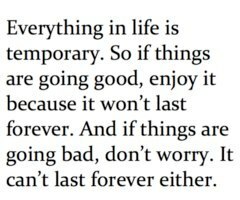 "I know its just temporary, but I am worried. Really worried. I am worried I couldnt enjoy every second in my life. I am worried I am at the situation which I dont like. I am worried I do something which I dont like, but I have to do this for some reason. I AM JUST WORRIED"
The day is going too fast, and so is October. This month is really scary me. Scary me about anything. College stuffs is getting crazy, there is so many things to do. Specially Final Project. I am still thinking about what I am going to do, and I am also worried what about if my Final Project rejected by my lecturer ? Aaaah, why there is so many things I worried about ? ?